Microfighter of the Republic Y-Wing. At first it was just a retooling of the Alliance Y-Wing, but I went back and changed it up a little more. You can swap out some yellow for dark-red to make it more clone friendly. 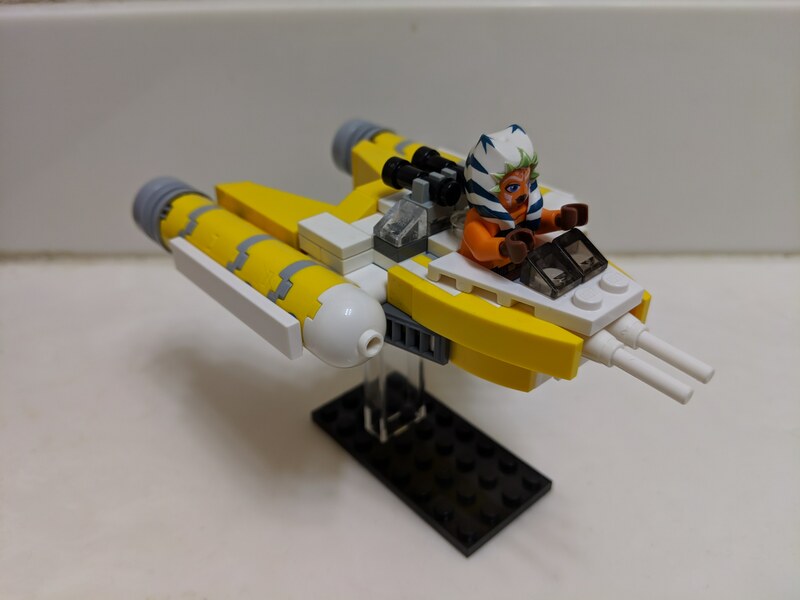 Suggested minifig is Ahsoka Tano for yellow, clone pilot for red.